This entry was posted on December 28, 2014 by admin. You’re probably familiar with Dynatrac and its axles, but did you know that the company was the first to introduce a high-clearance differential housing for off-roading? In 2002 the ProRock 60® debuted and changed the off-road axle industry forever. 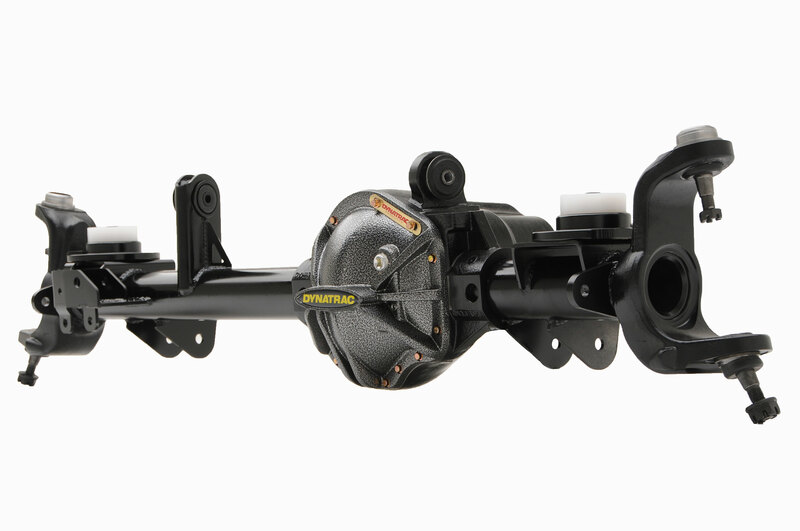 The patented design of the ProRock 60 provides more ground clearance than a much weaker and less capable Dana 44 axle, and a full inch more clearance than a Dynatrac Pro 60™ or traditional Dana 60. This feature alone allows your 4x4 to keep moving forward up the trail, instead of hung up and stuck. 100% designed, manufactured and assembled in the U.S. Following the success of the ProRock 60, Dynatrac engineered and manufactured the ProRock 44 with the same patented high-clearance design. The ProRock 44 features more ground clearance than a Dana 30. Being that it is significantly stronger and more durable than a factory or aftermarket Dana 44, the ProRock 44 quickly became the most popular aftermarket axle for the 2007-present Jeep JK Wrangler and Wrangler Unlimited. In fact, Dynatrac has more ProRock 44 housings under Jeeps today than all of the other aftermarket axle manufacturers combined! Never one to stop forging ahead, Dynatrac met the needs of customers who required even stronger axles and insisted on having increased ground clearance, the highest load capacity, the most power, the deepest gearing and the biggest tires. The ProRock 80 was born. With a massive 11.25-inch ring gear, 40-spline axle shafts and more ground clearance than any comparable axle available anywhere, the ProRock 80 is the king of aftermarket axles. No other axle in existence can handle this much torque, has this much ground clearance and is this lightweight! The ProRock 44, 60 and 80 housings all feature reinforcement in critical areas to increase housing rigidity and decrease the ring and pinion gear deflection that’s common under high-torque conditions. These are the kind of conditions frequently encountered by a 4x4 with extra-low gearing and larger than stock tires. ProRock housings are made from ultra-tough, heat-treated nodular iron. By design, a ring-and-pinion gear set is less likely to fail in a ProRock housing than in a traditional Dana axle housing – or other aftermarket housing – because the housing is more stable and better controls the tolerances. All ProRock axles feature heavy-duty reinforced Pro-series end forgings that allow the use of common, easy-to-find service parts. These end forgings maintain proper wheel camber even under severe use. The forging is made in the U.S. from U.S. steel. Other manufacturers use an imported casting, which is considerably weaker. Dynatrac ProRock series axles can be built in nearly any width for almost any front or rear application. Numerous gear ratios, high-steering, heavy-duty axle shafts, bigger brakes, and many different traction adding devices are only a few of the available options. The friendly, helpful and well-informed Dynatrac staff works closely with each and every customer to determine which axle is the best solution, even down to matching up the housing tube diameter and wall thickness for heavy-duty or abusive applications. ProRock axles, like all Dynatrac axles, are the only all-new axles engineered, manufactured, machined, and assembled in the U.S. Every Dynatrac axle is backed by a one-year, unlimited mileage, “no fault”, written warranty. You’ll get legendary Dynatrac quality and the right axle under your vehicle the first time, giving you the Confidence to Explore®. Planning to put a truss on a rear Dana 60. 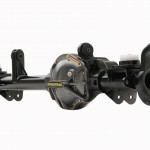 Are the prorock Dana 60 centers the same dimensions as a standard ford rear Dana 60 on the upper top half of the pumpkin? I am wondering if a truss will interchange between the two. Not trying to reuse one but wanting to purchase a specific truss and wondering if the two axles are dimensionally similar on top. No, the ProRock 60 is a unique design. It will depend on how tight the truss fits the contours of the axle, but it is likely that a truss designed for Dana 60 will not fit ProRock 60 perfectly. How are you using your vehicle that you want to truss a ProRock 60? Maybe a ProRock 80 would be a better choice, and the truss is not needed?